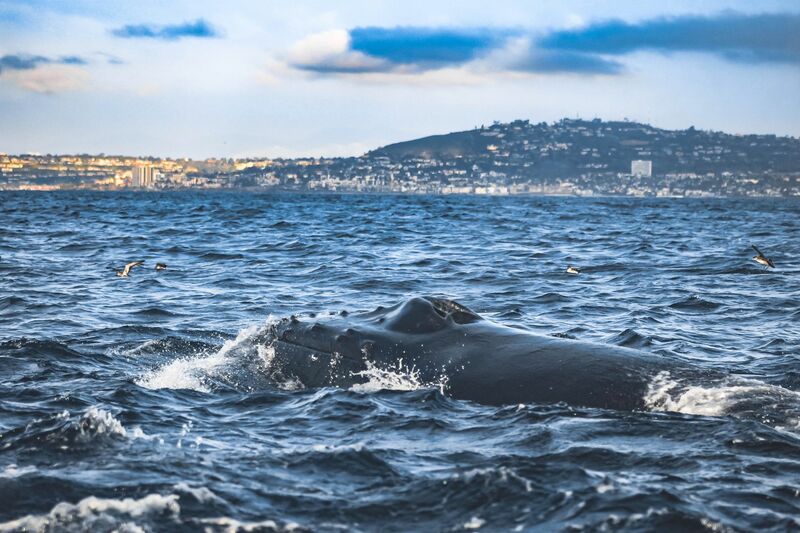 SAN DIEGO (KGTV) — San Diego has experienced one of its best whale watching seasons this year, thanks in part to plentiful amounts of food along the coast. As winter and spring gray whale watching die down, the summer season will bloom, giving way to Blue Whales feeding off our coast. Gray whale season typically takes places from mid-December to April, while blue whale season is around mid-June to September. So naturally, many residents and tourists will flock to the sea and coastline as whales flock to our waters for food. And the results can be astounding . 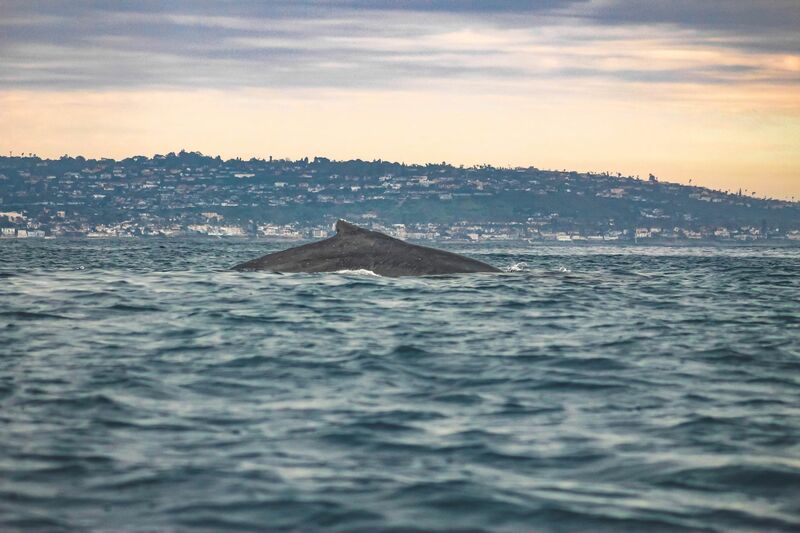 By land, San Diego has some prime viewing spots in Central and North County, according to Domenic Biagini, of San Diego Whale Watch. And if you're going by sea, Biagini says a little research can go a long way in finding a great experience. Here's some tips on how to best view natures gentle giants in San Diego, either by land or sea. While whale watching from the shore won't get viewers close to the animals, it is a cheaper alternative that can be just as fun. Cabrillo National Monument, Torrey Pines Glider Port, Sunset Cliffs, and Fletcher's Cove in Solana Beach are great spots to watch for sprouts of whales from shore, according to Biagini. At Cabrillo, viewers can head to Whale Overlook or the Old Point Loma Lighthouse to lookout for whales. In Torrey Pines, Sunset Cliffs, and Solana Beach, onlookers have a full coastline of areas to peer from. San Diego's Tourism Board also adds Birch Aquarium at Scripps as a prime viewing area. And a tip to remember: During the winter and spring seasons gray whales tend to feed closer to San Diego's shore than blue whales, Biagini says. One benefit of heading out on the water to whale watch, aside from getting closer, is having San Diego's skyline in the background. Also, you may encounter other life roaming around whales as they feed. Whale watching journeys are offered around San Diego, but there are some things to watch out for before picking a company. Biagini recommends checking on what a company has seen already before booking a trip. "If they’ve been seeing a lot of animals that’s your best bet to have a good experience, and if the company isn’t posting their sightings they’re either not a serious company, or not seeing anything," Biagini said. "Honestly, just for companies that publish their daily sightings." Most whale watching companies will update their websites to reflect what they're seeing on the waters, some daily. San Diego's Tourism Board provides a list of companies to research if you plan to hit our coastal waters. And, of course, if you plan to take in some whale watching on the waters, read up on the Marine Mammal Protection Act beforehand so as not to put whales, dolphins, and other life at risk.